Child minder required for Thursdays and Fridays starting from week of 24th September in Kilcorney area – preferably in children’s own home but open to options. One school going and a baby. Please contact me on 0879446119 if interested. 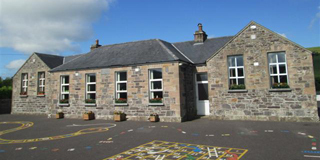 Childminder required for two days a week – preferably in children’s own home from 24th September in Kilcorney area. One school going and a baby. Please contact 0879446119 if interested. College student available for child minding during the summer months. Kilcorney National School Parents Association are holding a cake sale on Sunday 11th June, after 10.30 am mass in Kilcorney Community Centre. Complementary teas/coffees and light refreshments will be served on the day. Posted on Jun 6, 2017 by guest Leave a comment on Cake Sale in KilcorneyCategories Kilcorney, Upcoming EventsTags Cake Sale, Kilcorney Community Centre, Kilcorney N.S. Contact Chris at 089 2071028.
on Friday, November 25th at 9pm. 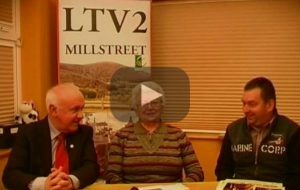 Posted on Nov 21, 2016 November 22, 2016 by guest Leave a comment on Table QuizCategories Charity & Fundraising, Kilcorney, Upcoming EventsTags Kilcorney N.S. Be Active with Arthritis is an Adapted Exercise Programme for people with arthritis and related conditions. 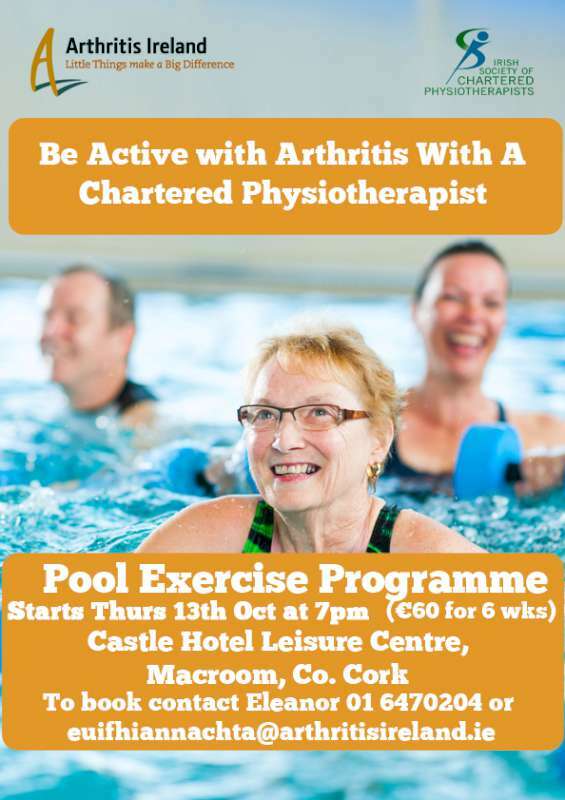 This programme was developed by Arthritis Ireland and the Irish Society of Chartered Physiotherapists. This is a one hour class over 6 weeks directed by a chartered physiotherapist. 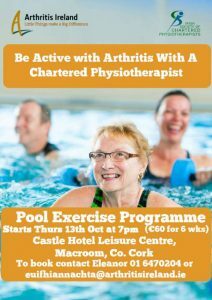 This course takes place in Castle Hotel Leisure Pool, Castle Hotel, Main Street, Macroom, Co. Cork. Places are limited to absolute maximum of 12 people per class. Pre-booking absolutely essential. Payment must be made in advance of the 1st class. Booking by click HERE. Tan and white Beagle missing from Cullen area. 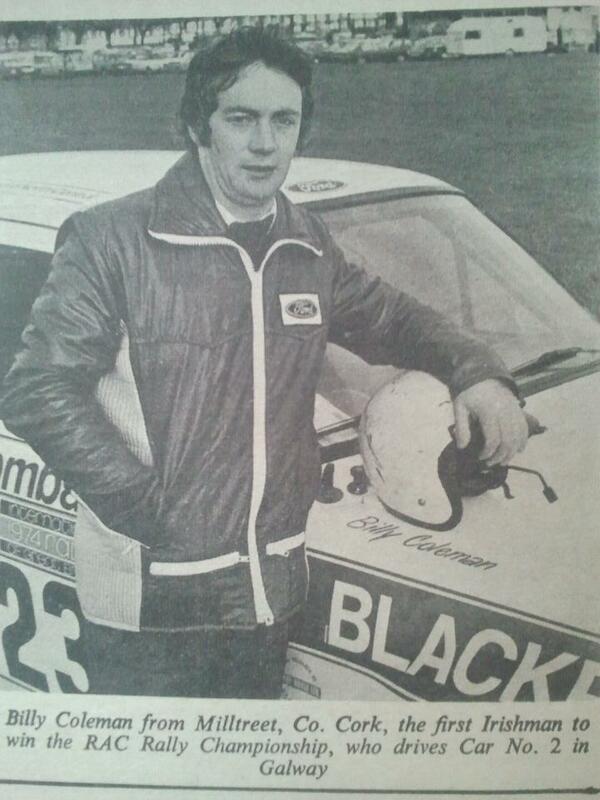 My wife’s grandfather, James Sullivan taught for many years in Keimaneigh School, Ballingeary. In 1884, he married Catherine Cronin from Gougane Barra. He died aged 46 in 1896 leaving a large family and he is buried in St. Gobnait’s cemetery in Ballyvourney. His wife died in 1916 and is also buried there. His father was Owen Sullivan and was present at the marriage. He had a brother, Owen, who married Catherine Horgan and lived in Kilmeedy West. He had several children and one of them, Jeremiah used to correspond with his cousins in Keimaneigh in the 30’s and 40’s. We understand that the farm in Kilmeedy is no longer in the family. We are trying to establish the Ballyvourney connection as some of the Sullivan families there agree that there is a family relationship, but are unable to make an exact identification i.e. in which townland in Ballyvourney was the original family located and to which Sullivan family was he related. 2 Springer Spaniels Missing !!!!!!!!! Two springer Spaniel missing from the Kilcorney area. Looking for a lift to Castleisland on an ongoing basis (approximately office hours). Perhaps somebody going directly, or to Tralee would be able to assist. Happy to cover petrol costs. Jack russel terrier found in the Kilcorney area. Brown and white with a brown collar and purple tag. Very friendly. Two adorable Shih Tzu Pups need a loving family. Owners moving overseas. Last Chance To See “The Sound of Music” @ Briery Gap, Macroom! This sell out show only has 3 performances left! “Fred & Alice” to the Briery Gap Theatre, Macroom. 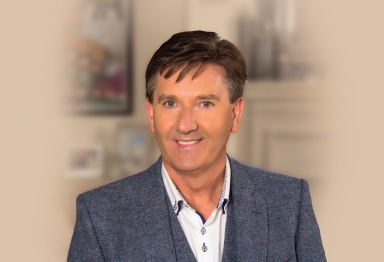 “The Sound of Music” is taking place in Briery Gap Theatre, Macroom. We are delighted to host this timeless tale as our spring musical production 2014! Join us for what promises to be a fun filled show with Maria and Von Trapp family, singing all the classics from a much loved story. Performances take place on the following dates: Evening shows at 8.00pm, 25th, 26th & 27th April and 2nd, 3rd & 4th May. Matinee show at 3.00pm, 4th May. All tickets are priced €16.00 & special child rate for the matinee show, €12.00. Adorable female Jack Russell dog found wandering in Millstreet Town Sunday March 23rd. If you think she might be yours please contact 087-2260607. An exciting new class starting for the over 50’s on 10th March on Wednesday mornings at 10am. This class will cater for all fitness levels. Contact Pat on 087 6856930 to enquire/book. Do you have fitness or weight loss goals for 2014? New classes starting in the loft, Millstreet on 27th January 2014. Choose from Pilates, Spin, Spin & Tone, Pump & Tone, Spin & Pump, Abs & Core, 20/20/20, circuits or weight loss classes. Prices start at €6.66 per class. There is something in the Loft for every fitness level whether you’re just starting out or want to improve your performance in your favourite sport. Contact Pat on 087 685 6930 or Nicola on 087 901 9001 to book a class to suit you. This module in local history is an introduction to history, with a particular emphasis on local history, which will teachstudents the methods of carrying out historical research at a local level. This course will assist the learner to identify his or her skills, attitudes, experiences and interests and match these to appropriate career opportunities, set personal career objectives and compile a personal career seeking toolkit. The IT component will ensure that participants’ skills are up to date so that they are job ready. Supporting your child in primary school by developing literacy, numeracy and computer literacy skills with your children. The importance of play, healthy eating and understanding the primary school curriculum will all be explored. The aim of this course is to enable participants to develop their English language skills and to communicate easily in everyday situations. Language levels are assessed at registration. You are invited to take part in a table quiz on Friday 31st January 2014 starting at 8.30pm in the Wallis Arms, Millstreet. Cost of entry €40/team of four. 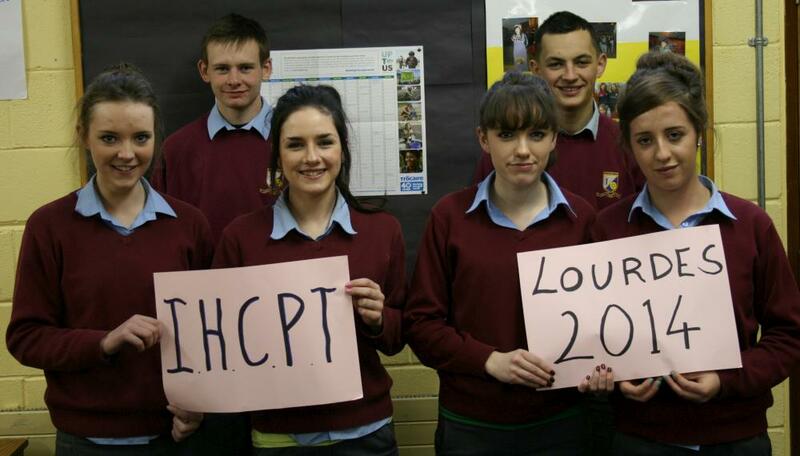 Money raised will help cover the costs of the six 5th year students from Millstreet Community School who will be travelling to Lourdes as helpers with the IHCPT – Irish Pilgrimage Trust for a week during the Easter holidays 2014. (Cost/person for travel and accommodation is €650). There will be a raffle on the night too. Leanne Kelleher, Leanne Murphy, Siobhan Sheehan, Edel Breen, Colum Fraser and Oisín Murphy will join thousands from Ireland and the UK for the week. 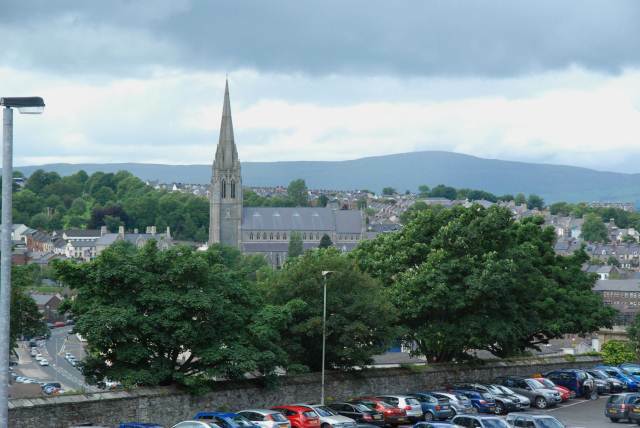 Those going to Lourdes with IHCPT at Easter travel in groups comprising twenty two people – eleven helpers and eleven young people who face physical, intellectual and emotional challenges. Members past, present and future very welcome. We would very much appreciate your input. A big thank you to everyone who supported the cake sale that took place after 6.30pm Mass on Saturday 21st and after 11.30pm on Sunday 22nd December in Millstreet GAA Hall. 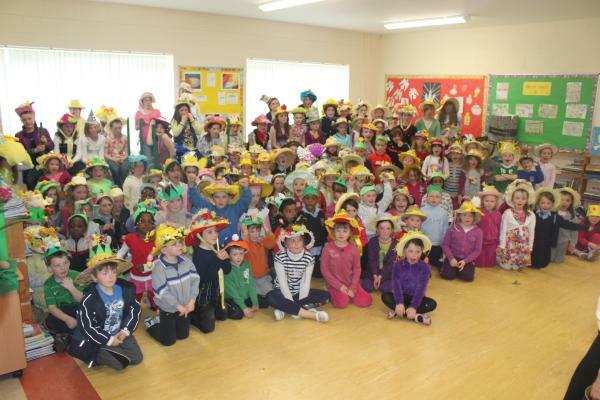 A total of €664.50 was raised. Many thanks to everyone who supported this event. 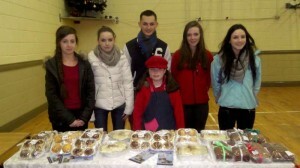 Irish Pilgrimage Trust Cake Sale Sat. 21st Dec. There will be a cake sale on Saturday 21st December in Millstreet GAA Hall after 6.30pm Mass to raise money for the six 5th year students from Millstreet Community School who will be going to Lourdes at Easter 2014 with IHCPT – The Irish Pilgrimage Trust as helpers. 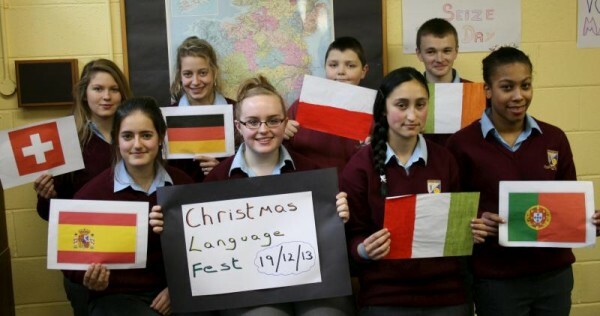 The students are Leanne Kelleher, Leanne Murphy, Siobhan Sheehan, Edel Breen, Colum Fraser and Oisín Murphy. 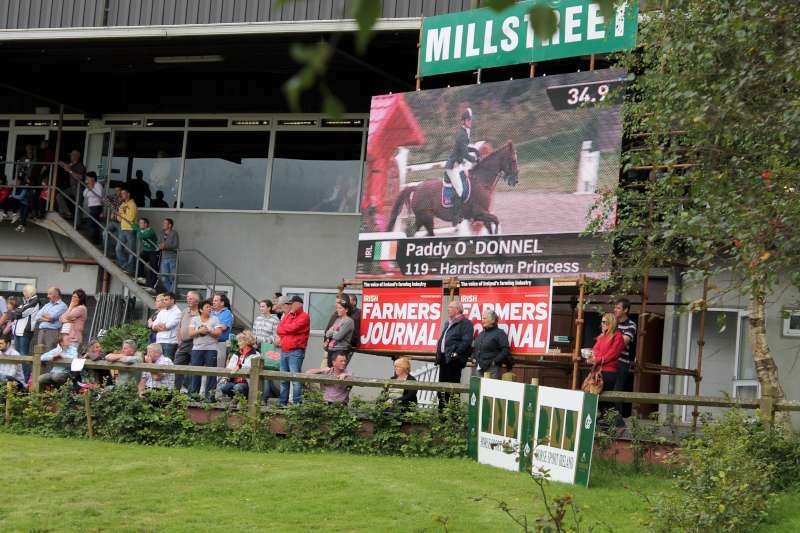 The fare for their travel and accommodation will be about €650/person. Your support for this event would be appreciated. Singing creates a sense of wellbeing, brings communities together and gives us the opportunity to create sounds of power and beauty. If you always wanted to sing but never had the courage to do so then this is your chance. You don’t have to be able to read music, you won’t be asked to sing on your own or take an audition. This is for fun!!!!! And no fees!! For more details if needed contact Aine on 086 7707301 or come along on the day. The Kerry Diocesan Youth Service (KDYS) mobile youth cafe will be in Millstreet on Tuesdays 12th, 19th and 26th November from 7.30 to 9pm. The mobile youth cafe is equipped with laptops, Wii and Playstation 3 and is open to all young people of secondary school age. Come along! For more info please contact Madeleine on 087 277 4919.